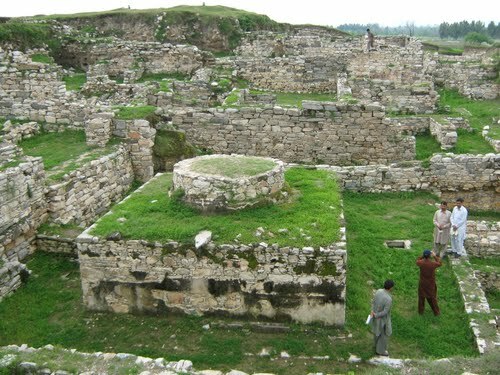 PAKISTAN – Aziz Dheri - Prof Dr Naeem Qazi, Archaeology and Museums Departments Peshawar, said on Tuesday that more excavations be carried out in the rich archaeological site of Aziz Dheri. The department in cooperation with the University of Peshawar initiated excavation at Aziz Dheri site in January which is still going on. The excavation team succeeded to discover the 1700 years old stupa from the site. The statues had been fitted around the stupa with great skill and the red paint over it was still clearly visible, making it important for archeological experts and pundits. He said Sir Johan Marshal of Great Britain had recovered the first stupa from Taxila during the British colonial rule between 1913 and 1931. In 1984-85, Dr Abdur Rehman discovered the second stupa from Butkara, Swat and the third vital stupa was just recently recovered at Aziz Dheri, said Prof Qazi. The professor attributed the credit of the latest vital archaeological discovery goes to Shah Nazar Khan, Director Archaeology and Museums who extended complete support to the excavation team. He said the recently discovered stupa was of great religious importance to the Budhists. The first excavation was conducted in Aziz Dheri in 1993 for 11 months and continued in 1994 that went on to 2000 in different stages by the directorate of archeology. In 2004 Prof Dr Ihsan Ali requested University of Peshawar to resume excavation at Aziz Dheri site. The signs of civilization they found at the Aziz Dheri site go back to 3rd and 4th century BC up to 9th and 10th AD, he said. They recovered 200 coins, 38 stamps, 60 toys, all made of clay. Among the 35 recovered statues, 26 were made of stone but these stones did not belong to this region. The idols made of gray stones belonged to Gandhara regions. GRECE – Delphes - Dated to 590-580 BC, this is actually the most ancient Greek hippodrome, and it is second in importance after the –today lost- hippodrome at ancient Olympia. It is at Delphi that have competed with their chariots prominent political leaders, such as Kleisthenis, tyrant of Sikyon, and the tyrant of Syracuse, Hieron. 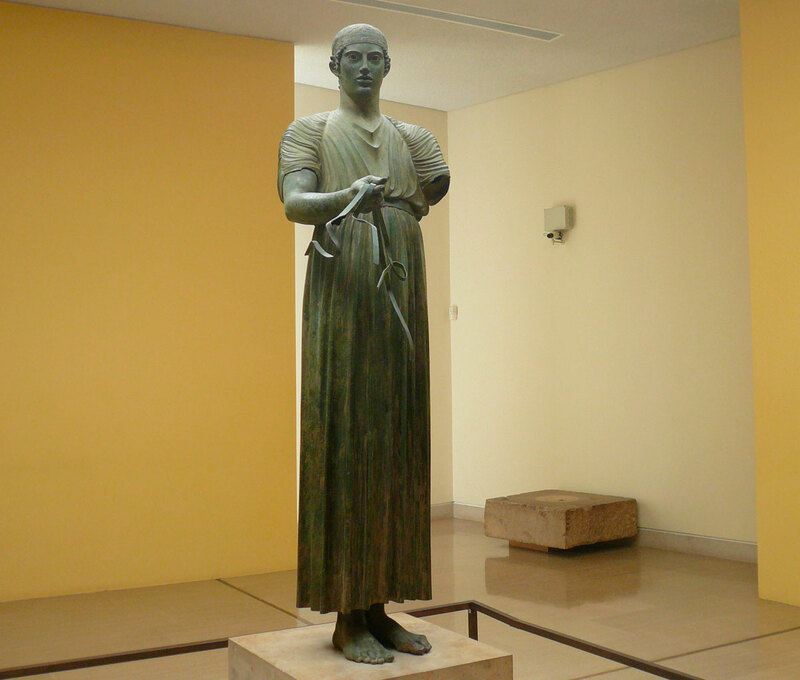 Also, renowned Charioteer, the bronze statue in the Delphi Museum, has most probably taken part and was victorious in the chariot race during the 474 BC Pythian Games. The Delphi hippodrome, a monument sought by archaeologists for over two centuries, was revealed just a year ago by Professor of Classical Archaeology Panos Valavanis. “ ‘Gonia’, the site suggested for the Delphi hippodrome, at the west end of the olive grove, nearly 1.5 km northeastern of Itea, running parallel and being adjacent to the Kefali mountain range, between the Aghioi Anargyroi and Gla hills, satisfies every physical precondition for a hippodrome and agrees with the data offered by ancient sources. Besides, this site belongs to the sacred land of Delphi and it is in immediate contact with the Sanctuary, a most important point for the symbolic association of the distant athletic installation to the worship center of the Sanctuary”, said Prof. Valavanis. GRECE – Pella - Excavation is under way at the trade and administrative centre of Pella, the capital city of Philip and Alexander the Great. In an open area covering more than 70.000 sq.m. in the heart of the ancient city, around a massive central square, gradually comes to light a complex of stoas with rooms housing the city archives, the city councilmen’s seat, other public offices, workshops and shops. New data from the university excavational programme in Pella’s “Agora” will be presented by Prof. Ioannis Akamatis (Professor of Classical Archaeology, Department of History and Archaeology, Aristotle University of Thessaloniki) and his colleagues during the annual Conference for the Archaeological Work in Macedonia and Thrace. 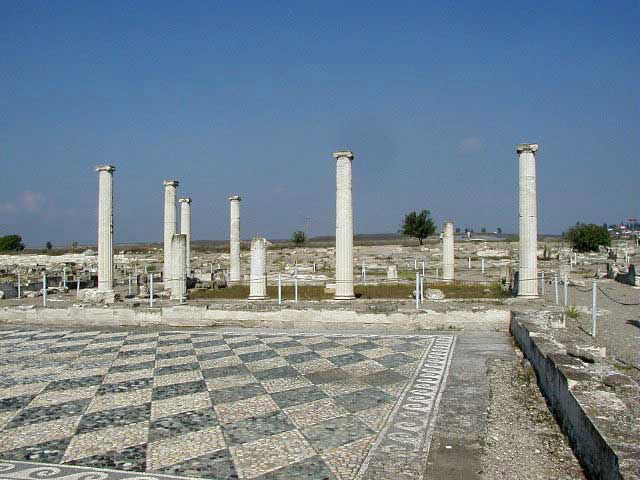 During Season 2012 in the University’s excavation, research was focused on the North and East stoa, the central yard and the public archive area of Pella, aiming to gather additional evidence connected with the final publication of the building complex. Regarding the North Stoa, the text reads: “Aiming to complete the excavational procedure in order to proceed to the ESPA-funded works of conservartion and restoration proposed by the Aristotle University’s Archaeology Division and materialized by the Credit Management Fund for Archaeological Works, we cleared a number of rooms reaching a destruction level marked by roof tiles. A large number of roof tiles were sealed with the inscription BΑΣΙΛΙΚΟΣ, while others bore sealings with monograms and names with additional monograms. 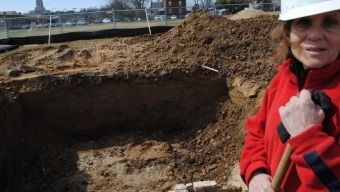 USA – Alexandria - Archaeologists are poring over a massive, brick-lined hole not far from Jefferson-Houston School, containing what might be the most interesting — and surprising — find in recent memory. Local historians believe the uncovered structure likely is all that remains of the 19th-century equivalent of a slaughterhouse. “It’s really the only site where we’re going to find anything out about a 19th-century butchery,” said Fran Bromberg, acting city archaeologist. “It’s just really something that came as a surprise.” Long before becoming the public school’s athletic fields, the site was used as a cattle run. A family with ties to the butchery business owned the property — which then was part of Old Town’s rural outskirts — strengthening arguments that the building served as a slaughterhouse.